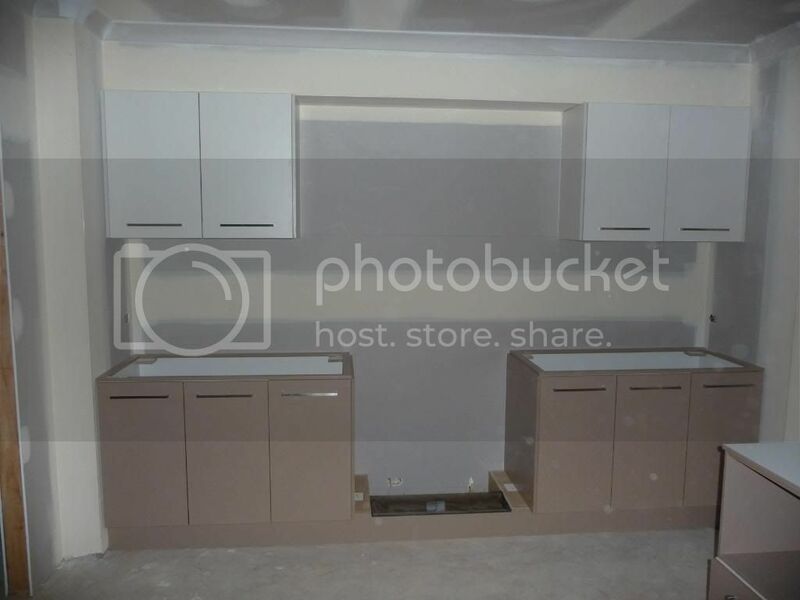 homeone.com.au›Building Forum›Building, Renovation & Maintenance›Kitchen Corner›Bulkheads over kitchen wall cupboards with 9ft ceiling? Bulkheads over kitchen wall cupboards with 9ft ceiling? We're having 9 ft ceilings in the main part of the house. I'd like to have bulkheads above the kitchen wall cupboards, as I can't be bothered to clean the grease and dust that will otherwise undoubtedly gather on top of the cupboards. Has anyone got bulkheads on their kitchen cupboards? Has anyone got a 9 ft ceiling in their kitchens? Can anybody help, I NEED PHOTOS! We are considering lowering the kitchen area ceiling. . . has anyone else done this? Am I going to have to resign myself to cleaning the top of the cupboards? Re: Bulkheads over kitchen wall cupboards with 9ft ceiling? Go down to your local newsagent and pick up any kitchen magazine. 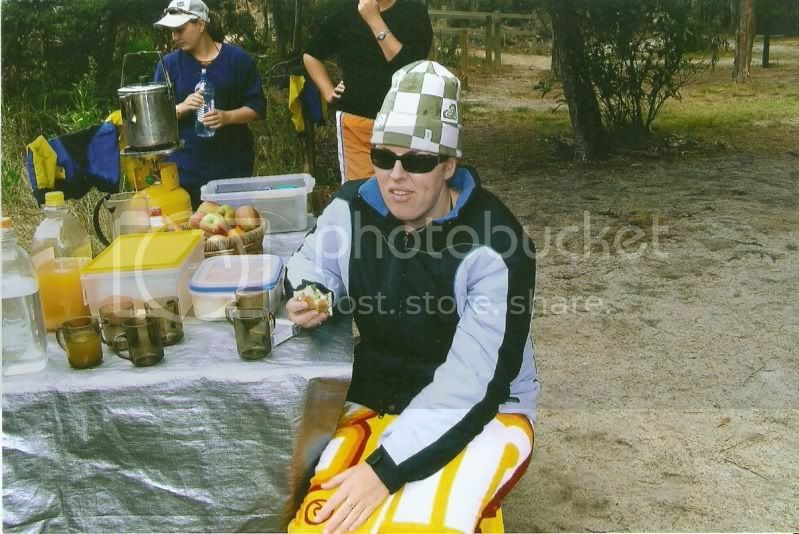 You will find hundreds of pictures of different kitchen and heaps will have bulkheads over the cupboards. It's pretty common to do as it "cleans up" the look of the kitchen, and there is no point taking the cupboards up to 2700mm as you can't reach the top shelves. THe other way, as you suggested is to drop the kitchen ceiling, and create a bulkhead around the perimeter of the kitchen. You may or may not like the look of this, depending on your layout. I'm having 9ft ceilings and there will be bulkheads above the kitchen overhead cabinets and also over the tower. No pics as I am only at frame stage, but I have my drawings. Our overhead cabinets will be framed by walls at the ends if that makes sense.... I think this can make a difference to the look and make the bulkheads not so noticable as the cabinets are entirely built in rather than the bulkheads just looking like they are sitting there on their own. Also the bulkhead over the tower will blend into the wall that has the door to the pantry. You can see on Elevation A there is a half wall with a cutout that frames the bulkhead and overheads and on Elevation C there is a full wall to frame them. Overall floorplan to give you more of an idea. Thanks jbdave, I have stacks of cuttings from magazines, I can never tell if the ceilings are 8ft, 9ft or 10ft though. 78xtc and joles. . . our bulkheads will also be framed with walls like yours are. . . you're right joles, they do blemd in. . . I actually think it would look sillier not to have the bulkheads than to have them. Hurrah! Looks like I won't have to ever clean on top or the cupboards after all! I thought that the bulkheads may look a bit long (in height), but they don't look it at all. Are you both using the 720mm high wall cabinets, I think that makes all the difference. Our ceilings are 9 ft and bulkheads above the kitchen cupboards, our builder does this as standard if you take the option of upgrading to 9 ft ceilings and it looks much neater IMO than haveing dead space above the cupboards. Thanks Helyn. . . AND WE DON'T HAVE TO CLEAN! We're having a walk in pantry and the kitchen is quite big, so I don't think we'll need the extra storage (and I don't think I could reach up there anyway). . . my friends did this in their apartment a while back, but they had 8 ft ceilings, and Brad was about 6ft 6. It's a great idea if you think you can use the extra storage, but I think we'd maybe just waste it. Wasted space with 9ft ceilings IMO Stonecutter - as it is I cant reach the top shelf (of 3) in my overhead cupboards so rarely used things are there but still havent filled them all, I dont think there is anything I want to put on an even higher shelf that I would have to get a ladder to access. Hmmm. . . now you've got me thinking Hels. . . maybe I could have one of those ladders on wheels like they have in libraries! We have 10ft ceilings and are having the same dilemma. I definitely want bulkheads and would be happy to have high cabinets for long-term storage (not necessarily kitchen items). However, I don't want the bulkheads to be huge - some designers are suggesting 60cm with 2.4m cabinets but nobody can show me a picture of what this might look like and I think it might look a little silly. We are now considering 1. dropping our ceiling 30cm then having a 30cm bulkhead and 2.4m cabinets or 2. having a 30cm bulkhead and 2.7m of cabinets, although its coming down to a matter of cost now ... our budget has been well and truly blown!! I have a recent Kitchen and Bathroom Quarterly which has a lovely old house with 3.3m ceilings, maybe check that out. OK, just realised this thread seems to have been archived - maybe one of the mods could restore it! We have 9ft ceilings and bulkheads. Can't post photo here, but you can have a look in my blog. I think it is a personal preference if you want cupboards or bulkheads to the ceiling. If my cupboards have those white, flat, minimalistic type of doors, I wouldn't mind having it all the way to the ceiling. But mine are laminates, and they are wedge colour, so they would look a bit odd if I don't add the bulkheads in to balance it to the cupboards below. We have 9 feet ceilings and have bulkhead of 30 cm. We liked the look of bulkhead and thought losing 30 cm at thw top was worth it plus it was cheaper to have a bulkhead than increasing the cabinet size. vness, we also have 10ft ceilings and didn;t even think of bulkheads till later, but as my kitchen is now, I am positive that bulkheads would look terrible. I think our cabinets come up to 2.4m and to have 60cm of bulkhead would be IMO too much! I think your option of dropping the ceiling in the kitchen would work best. jodge, looks like there are lots of ppl with the 2.7m and bulkheads and it looks fine, aren't you glad you started this thread? Donuts, I am certainly a very happy thread-starter. It's really good to get proof that our kitchen won't look silly. . . I'm off. . . to start some more threads! Cheerio! We have chosen 9ft ceilings and also the bulkheads in the kitchen. No photos to show as there is no house yet. I don't want the cleaning issue, and I like the b/heads because I think it finishes it all off. We're in the middle of our kitchen installation - the caesarstone is being measured Monday - so the cupboards above the bench (both of which will be white) won't be up till later next week. We felt that there was no other option than bulkhead - in fact we toyed with bring it out over the island to demarcate the kitchen from the lounge. Obviously the small space between the cupboard and the bulk head will be filled and flush. We will be handleless above the benchtops and on the island facing the lounge, where I'm standing to take the pic. Best practice is a internal metal angle to join your wall with the cieling and tile on top. My only concern would be movement of house. I would imagine it will crack the grout.